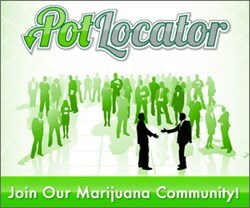 Recognized as a burgeoning delivery service within the medical cannabis industry, O.C. Green Relief prides itself on becoming one of the state's most reputable and well-respect patient support portals. As part of a new marketing outreach, O.C. Green Relief has recently been added to the PotLocator.com list of reputable cannabis-based businesses. Green Relief vows to remain an authorized compassionate company that delivers exceptional, quality medical marijuana right to your door. O.C. Green Relief is a medical marijuana delivery service that has been providing a compassionate and timely service to California Proposition 215 medical marijuana patients since 2008. Serving the entire Southern Orange County region, this delivery service is regarded as one of the most unique alternative health resources that patients have come across. Please note that each and every patient assisted through the O.C. Green Relief delivery service is able to present a valid California-issued identification and a pre-verified doctor-written medical marijuana recommendation. Unlike many other medical marijuana delivery services, O.C. Green Relief is operated by some of the industry's most compassionate and understanding individuals. With this service, obtaining medicine is not only about being able to medicate and feel a bettered sense of well -- it is about being properly educated on the medicine that has provided bodies everywhere with an immense amount of healing. The amount of knowledge that spread from this location alone is enough to completely change and legitimize the industry for the better. For inquiring patients looking to utilize this service, please note that O.C. Green Relief is within high standing and always remains within complete compliance of all California medical marijuana regulatory bylaws. O.C. Green Relief features various types of medical grade marijuana, mainly ranging from an Indica variety to a hybrid variety and never straying from the issuing of the utmost quality. Featured strains through this delivery service are those including Pre 91 Chem Dog, Pre 98 Bubba Kush, Beast OG Kush, GC, Master Kush, White Widow, Watermelon, San Francisco Train Wreck, L.A. Confidential, Holy Grail, and DJ Flo Smooth. These forms of dried medicine are known for alleviating patients who suffer from deep muscle and joint pains, glaucoma, nausea and various debilitating conditions. O.C. Green Relief also boasts extra strength chocolate chip cookies that have been a “patient favorite” for those who suffer from multiple sclerosis, including high C.B.D. oil that is known to treat patients suffering from epilepsy. This delivery service also features Rick Simpson oil that is directly responsible for treating a patient who suffered from prostate cancer. O.C. Green Relief is happy to report that this patient is now in remission. This could be seen as only a mere example of how innovative and compassionate this service truly is. Although O.C. Green Relief is located in the San Juan Capistrano, California area, that does not mean that the extensive patient resources supplied through this location are limited to just this geographic area. O.C. Green Relief proudly extends its valued services to the surrounding areas of Southern Orange County and Northern San Diego County. With this service, patients are the primary focus and receive no "under-the-table" types of services. O.C. Green Relief not only prides itself as an advocate, but also as a respective educator. This location’s staff welcomes patients to Green Relief Inc., South Orange County’s premier medical cannabis and medical marijuana delivery service.